Yip man(1892-01/12/1972).He was a native of FO SHAN (Guangdong province). 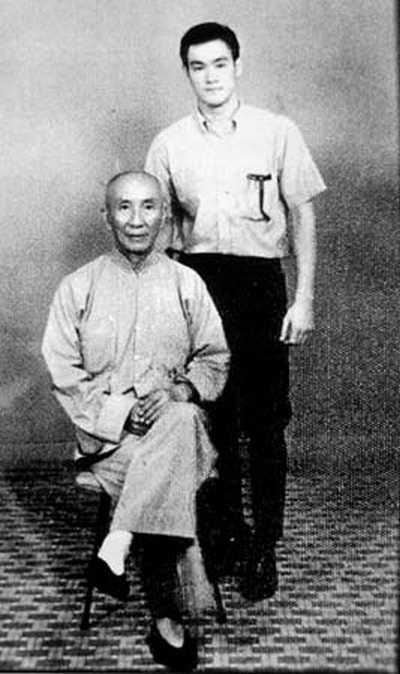 At the age of 7, Yip Man became one of the students of Master Chan Wah Shun (a manly art master). Master Chan was 40 years older than Yip Man, as he was old at the time, Yip man was his last and closed door disciple. Very soon, Yip Man became the favorest disciple of Master Chan and his elder fellow students, Ng Choun Su, Lar Ru Chi, and Chan Ru Man, all took care of this young boy. Six years later, Master Chan died. The senior disciples Ng Choun Su took the responsibility to teach the younger disciples of Master Chan. Yip Man followed the elder fellow-disciple for three years. At the age of sixteen, Yip went to Hong Kong to study English. There he was introduced by a classmate to Leung Bik to learn Wing chun. Leung Bik is the son of Leung Jan (the Grand Master of Wing chun and famous in FoShan, he was also a doctor of traditional Chinese medicine), during 3 years' study, Yip Man got advice from Leung Jan and perfected the art of Wing chun. "Autumn Scenes" is an old yearly tradional festival of Fo Shan. Once Yip Man brought wife to see the festival, an officer of the military tried to take advantage of Mrs. Yip. At the time, Yip was wearing a long gown with cloth shoes. As he was not tall, and looked more like a gentleman than a fighter, the officer figured he was weak and helpless, so he became more daring and offensive. Yip Man immediately resorted to the technique of Wing chun "simultaneous attack and defense", and the officer falled over immediately. It was a big shame for the officer then he took out his revolver, but Yip Man grabbed its barrel and used the strength of his thumb to break the trigger, rendering it useless. During the Japanese Occupation, Japanese commander invited Yip Man as their coach because of his reputation. But from the standpoint of righteousness, he refused it. Yip Man's reaction angered the Japanese greatly, to the point that they ordered another kung fu master, surnamed Leung, to challenge Master Yip Man. Master Leung thought his punch very powerful and used it against Master Yip. Yip Man immediately executed the technique "Horse Stance and Kwan Sao" of Wing chun to defend himself, and then turned around and kicked Master Leung to the ground. Yip Man then left Fo Shan due to the pressure from Japanese office. After the Japanese resistance, Yip Man didn't teach Wing chun, but worked at the police department. In order to rid the area of evil and protect the people, Master Yip solved many crimes, including the Fo Shan Sar Ton Fon Street Robbery, and caught the robber in Sing Ping Theater. He only returned to Foshan after the war, to once again take up the job of a police officer. At the end of 1949, after the Communist party won the Chinese civil war, being an officer of the Kuomintang, he decided to escape to Hong Kong without his family when the Communists had come to Foshan (his family with 1st wife came to HK after a few years). In Hong Kong, he was introduced to Mr. Lee Min, under his help Yip establish a Wing chun school at the Mess Union in Da Nan Street, Kowloon. At the beginning, there were no more than ten students. Later on, the students kept increasing, in 1954 Master Yip Man opened the 2nd Kung Fu institute at Hia Ten Street, Deep Water Bay, Kowloon. Some students and descendants of Yip Man compared their skills with other martial artists in combat. Their victories over other martial artists helped to bolster Yip Man's reputation as a teacher. In normal times, he liked going out with his students and friends to drink tea and sometimes played Mah-Jong. During the summer, he prefered to visit cricket fighting ( cricket fighting is a local customs in Guangdong) in the street, the match can last tens of round turn even the cricket broke the legs, it's more enjoyable than watching a martial arts contest. Besides watching cricket fighting, watching dog fighting was also his favourite activity. At that time, Yip Man went out often with his friend Liang Jia fang to watch the dog fighting who is the master of "Snake In The Eagle's Shadow". 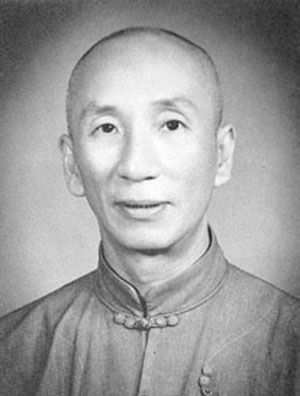 Yip man was well versed in Wing chun, he won honor for his Wushu Morality and personal morality, for his outstanding contribution, Yip Man was respectfully called Grand master by the later generation of Wing chun. In 2000, Foshang Wushu Museum was build, Yip Man exhibition room was set up in it. In 1967, Ip Man and some of his students established the Hong Kong Ving Tsun Athletic Association. In 1972, Ip Man suffered throat cancer and subsequently died on the 2nd of December that same year. daught. After he dead, as the children didn't have the same monther, they didn't meet each other. The most famous disciples of Yip Man is Bruce LEE. Bruce borned in U.S. and grew up in HongKong. His father teach him Tai Chi Chuan because he was weak when he was young. Bruce liked trying new things, adventures especially outdoor sports. Besides Tai Chi Chuan, he also learned Wing chun, Crane Fist Tao, Hong Chuan, Shao Lin Chuan, due to these experiences, Bruce lay a strong foundation to his own Kung Fu in the later years. Bruce learned Wing chun from thirteen years old to eighteen with Yip Man until he came back to U.S.